I was eleven years of age in 1974. Chubby, bespectacled and lisping. I may as well have had ‘Kick Me Hard’ embroidered on the back of my anorak. I was too clever for the bullies, not clever enough for my teachers and the thought of any kind of organised sport filled me with an icy dread. Ritual humiliation in nylon shorts wasn’t my favourite way to spend a wet Tuesday afternoon. In spite of all that, I think I got off lightly in the exquisite torture chamber of ‘the best years of your life’, because I had one unique talent. I knew everything about The Hit Parade. Not the LP charts with its weird melange of bearded virtuosos crafting concept albums and the hastily assembled album’s of songs by faded stars, new Pop sensations and tortured singer-songwriters. No… my forte was the singles chart. In the playground, I was seen as a sort of wise elder of the tribe and as such, immune to the lion’s share of the beatings handed out by ‘The Rough Boys.’ Apparently, knowing far from intimate facts about The Sweet is tantamount to having an invisible shield around you. The source of my power was my radio… My baby blue Binatone wireless went everywhere with me and although the dial held the promise of a whole world of music, it may as well have had just one setting -247 metres on the Medium Wave -Radio 1. I loved that station and I loved that radio. I’d plug its single earpiece in my right ear and let that fizzy signal take me to a place where no one laughed at my hand knitted tank tops. This world was a million miles away from the three day weeks and the terrorism which haunted reality. This was Panavision and Technicolor. Of course, this was only background information in comparison to the visual overload of ‘Top Of The Pops’. Every Thursday night, the nation would gather around their only-just-about colour TVs and would be either enraptured or appalled by what they saw. ‘Serious’ music fans - devotees of Oldfield, Wakeman, ‘The Floyd’ and all those bands comprised of bearded Germans didn’t complain though. TOTP (as no one called it at the time) was so far beneath them that they’d get nosebleeds just thinking about it. Which they didn’t, as they had ‘The Old Grey Whistle Test’ where everyone played live, never smiled, wore brushed denim and was ugly. They were on the radio all the time, but no-one knew anything about them. They looked a bit like an ‘Old Grey Whistle Test’ type of band, but they were on TOTP a lot. And when they were, instead of the usual silver satin hotpants, they wore earnest expressions, neatly creased jeans and blow dried centre partings. They sounded…odd. One single would sound like those old Rock and Roll tunes which were re-issued with alarming regularity during the early 70s. Another would sound like a showtune. Another would sound a bit ‘Whistle Test’, but with a great hookline that burrowed its way into your subconscious. But that was all I knew. Occasionally a girls teen mag would have a soft focus picture of all four of them, but with Eric Stewart (nominally, the girls favourite) towards the front. Never a biography. Their favourite colours and what they looked for in a girl remained undisclosed. They looked awkward in photographs and resembled geeky university students who were still dressed by their mothers. But they were still Pop stars. I was hooked and I didn’t know how or why. To be fair, everyone was a bit confused in the early 70’s. The sixties had finished, but the hangover persisted well into the following decade. With the Lovable Moptops out of the picture, we needed direction and a clear sense of something happening. What we got was a blindfolded trolley dash through Tin Pan Alley, grabbing the shiniest or the most elaborate items on display. The gulf between ‘Pop’ and ‘Rock’ couldn’t have been wider than in 1974. David Bowie had hit singles, but they were perceived as calling cards for his ‘serious’ albums. Slade tried hard to be the tough, rockin’ band they aspired to be, but were constantly depth charged by Dave Hills’ toothy grin and tinfoil stage gear. 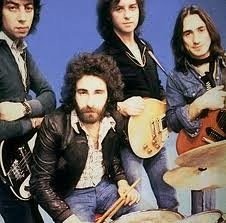 10CC slipped neatly under the wire. Devoid of any discernable image, they sneaked into the singles charts singing about prison riots, the economic downturn and how love songs (the lingua franca of Pop) were ‘silly’. Their albums offered further subtle deviation. Their debut album mixed bubblegum Doowap pastiche with 12 bar Blues tunes about drug addiction and a heartfelt tribute to Charles Atlas. ‘Sheet Music’-their second LP- went even further. This is where I came in. After a period of protracted and heavy negotiation with The Parents, I was furnished with the funds to purchase my third Long Player. (Benny Hill and Herman’s Hermits were one and two, in case you were interested). After drawing my gaze away from the searing yellow of the cover (and Kevin Godley wearing what seems to be a dressing gown) I slipped the record out of its dust jacket and placed it on the turntable of my not-quite-Dansette. Pretty quickly, I came to a simple conclusion. This was the greatest music I had ever heard. There are 10 songs on ‘Sheet Music’. The album is 37 minutes long. It was filed under ‘Pop’ in your local Woolworths, alongside David Essex and The Wombles. Let’s examine the lyrical content shall we? We’ll start, song-by-song, with side one…. 1. ‘Big business is shafting everyone and no one can do anything about it’. (Also note the use of the phrase ‘screw me’, which didn’t halt its progress into the UK Top 10). 3. The pros and cons of tourism. And racism. And xenophobia. 5. ‘I am a bomb on board an airplane, waiting to blow up’. We also hear the thoughts of the airplane here as well. Balance is everything. And the tunes…brimming with ideas and invention, but all reined in with a lovely, elasticated Pop sensibility. What they also had was the ability to make an album with such a disparate selection of themes and styles and hone it into something which doesn’t sound like a jukebox. That is why I want to write this book. The way they integrated a vast number of contemporary issues into their material, which none of their peers – ‘serious bands’ or otherwise – would have dared to do. The best music happens when the creators show no respect for musical boundaries. The Beatles mixed Rock and Roll with a strong Music Hall sensibility and breathed life into a dying genre, perceived as nothing more than a novelty. The Byrds then combined that hybrid with ylan, then Shankar, then Parsons to create something far greater than the sum of the parts. Steely Dan, Led Zeppelin, Radiohead…all these bands straddle borders beautifully and sound all the better for doing so. 10CC managed to do that so successfully that they went from being described as ‘Pop’ to ‘Progressive’ almost overnight. There is a precedent for that, of course – both King Crimson and Gentle Giant have Pop skeletons in their cupboards, but both those bands changed their sound (and image) to appeal to more ‘serious’ fans. 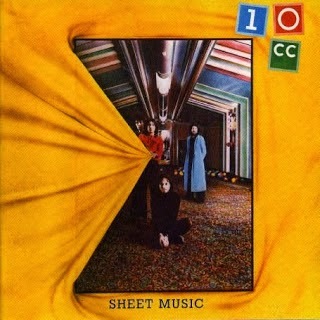 10CC did it by simply stretching a tune or two over four minutes long. I fully intend to contact all the key figures attached to the making of this album. Fortunately, all four members of the band are still alive and active in the Music Industry – Graham Gouldman helms a version of 10CC (along with longtime members Paul Burgess and Rick Fenn) who are soon to embark on a sell-out tour of Europe, Eric Stewart is about to release his fourth solo album, Lol Crème is working alongside such luminaries as Trevor Horn in The Producers and Kevin Godley is working with Gouldman in the GG06 project. He also made a memorable return to the live stage last year (after almost 30 years) with 10CC to sing ‘Old Wild Men’ – a standout track from this album. I’d also like to speak to the venerable George Hardie (of Hipgnosis fame) to ask him about the concept behind the eyecatching cover and graphics of the album. All these people live and work no further than 100 miles from where I sit to write this. I was fifteen years of age in 1978. That was the year I saw my first live band. 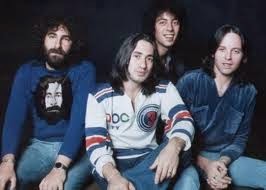 The band was 10CC. 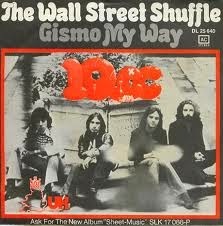 The first song they played was ‘The Wall Street Shuffle’ – the first song on ‘Sheet Music’. Not the obvious 10cc choice, but I'd read that 33 1/3 book. Then again, I'd also read a 33 1/3 book written around far-from-intimate facts about The Sweet.